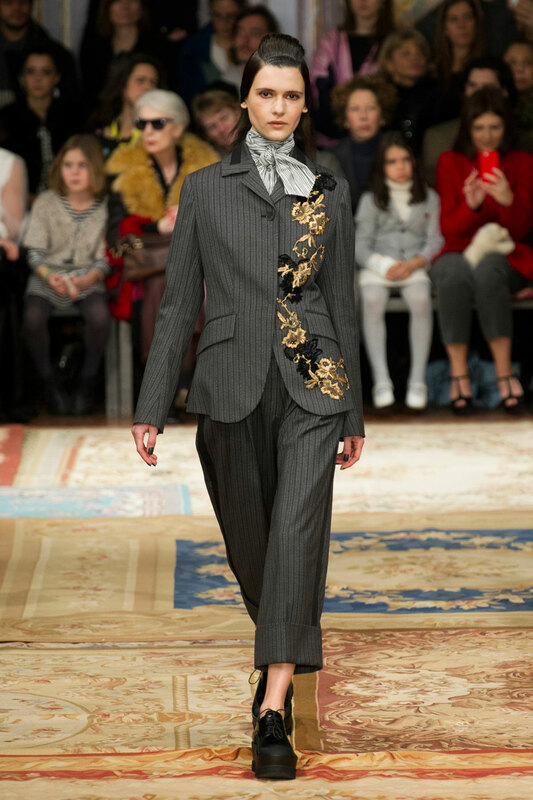 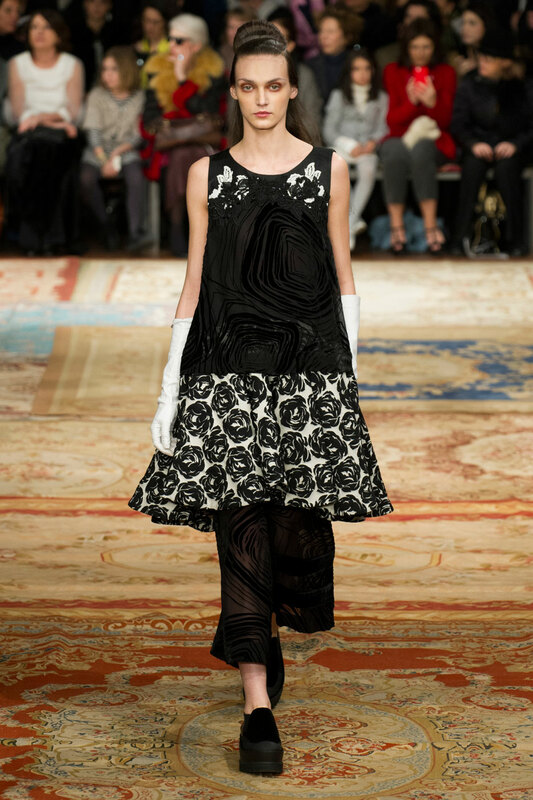 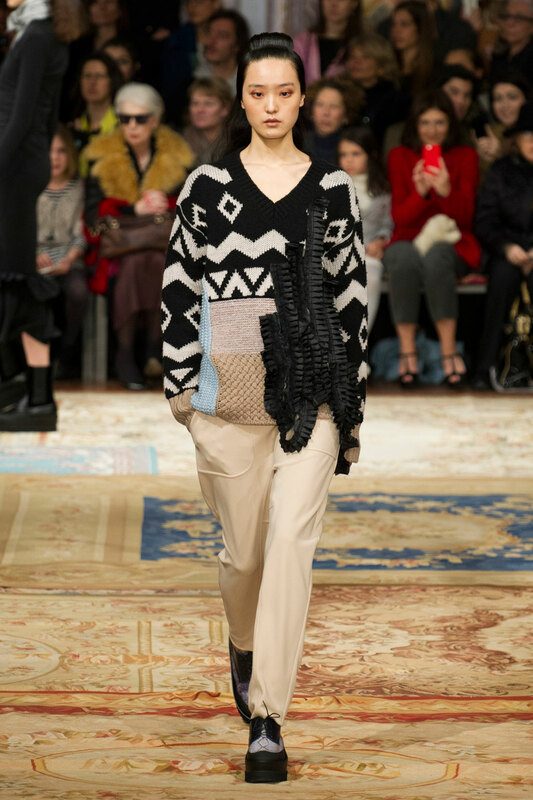 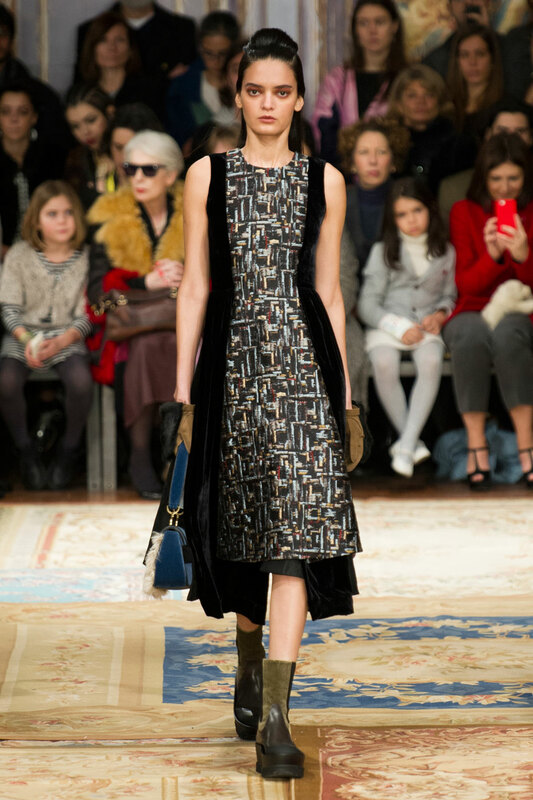 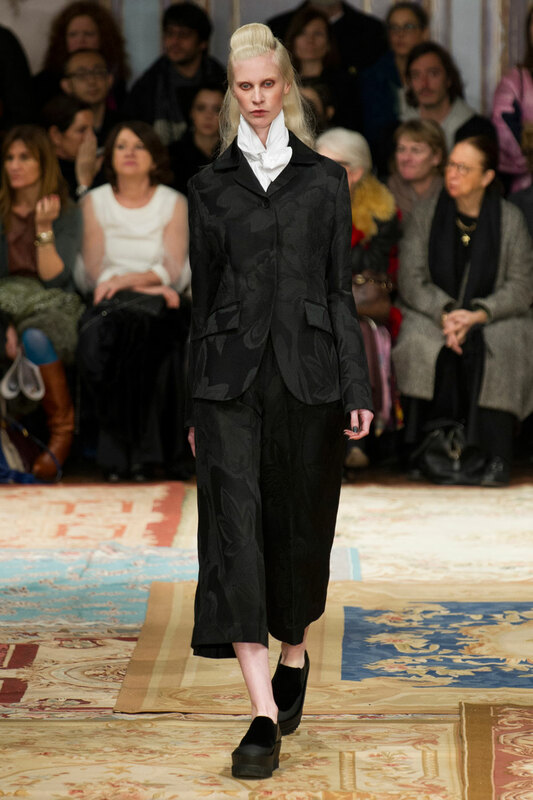 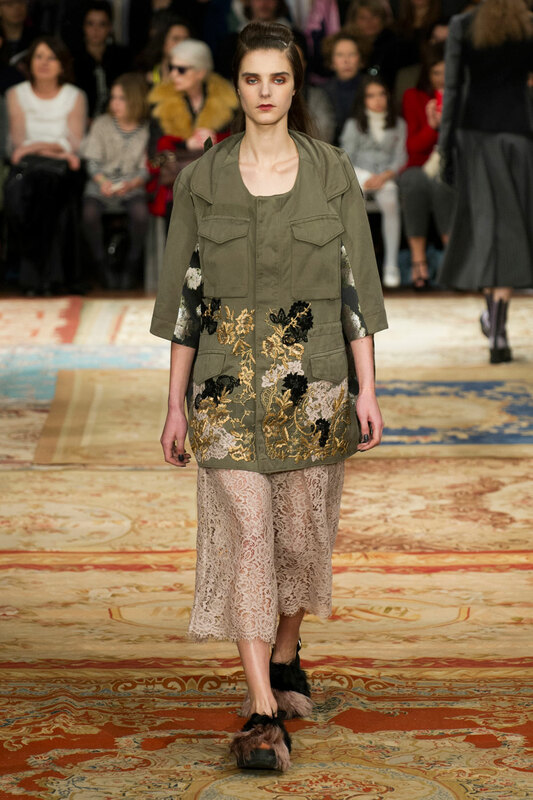 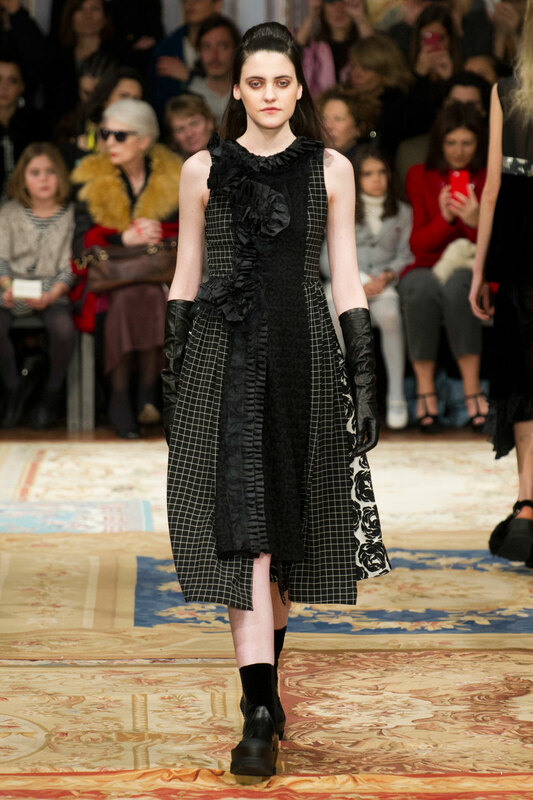 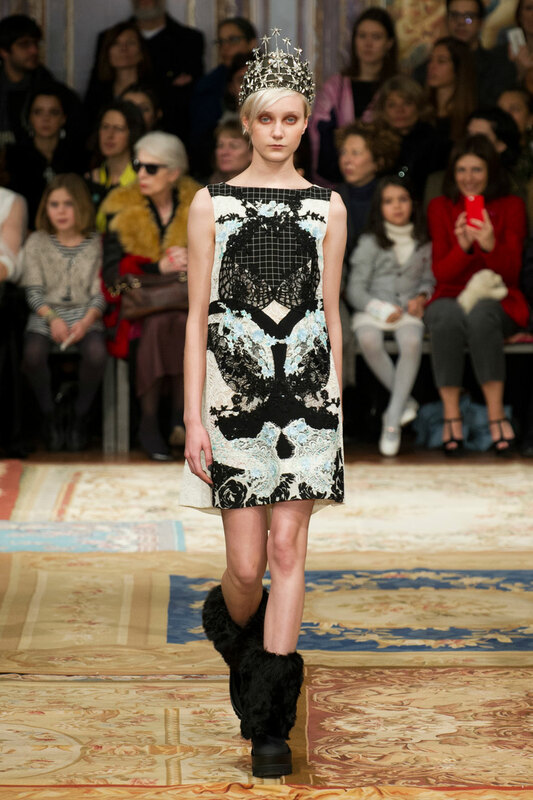 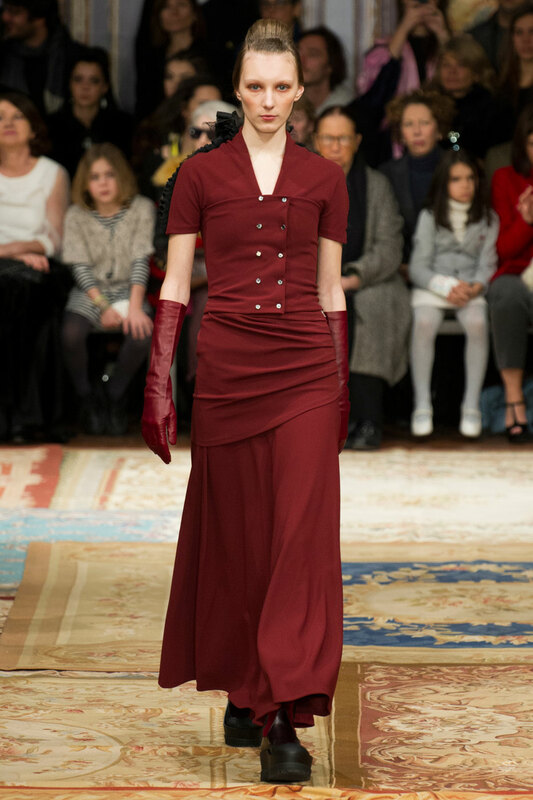 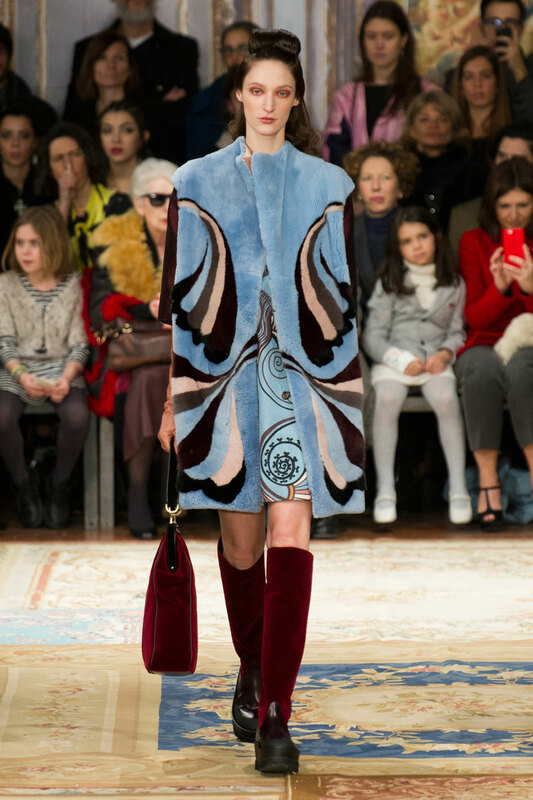 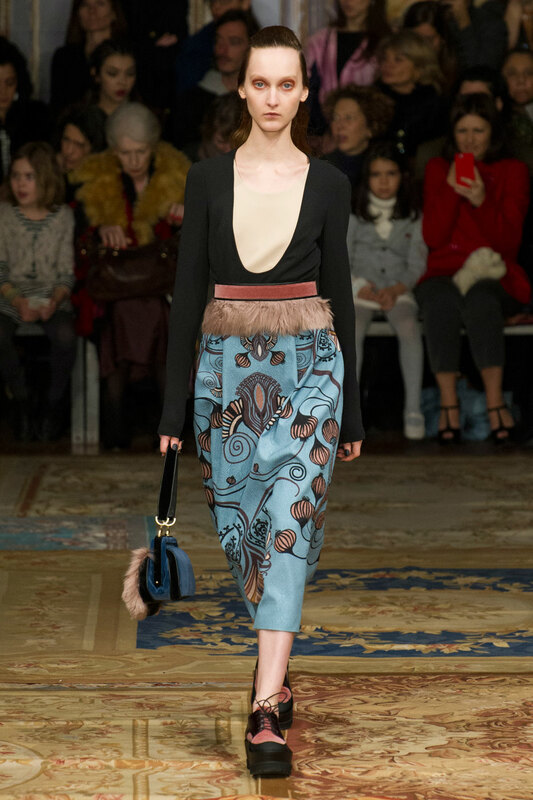 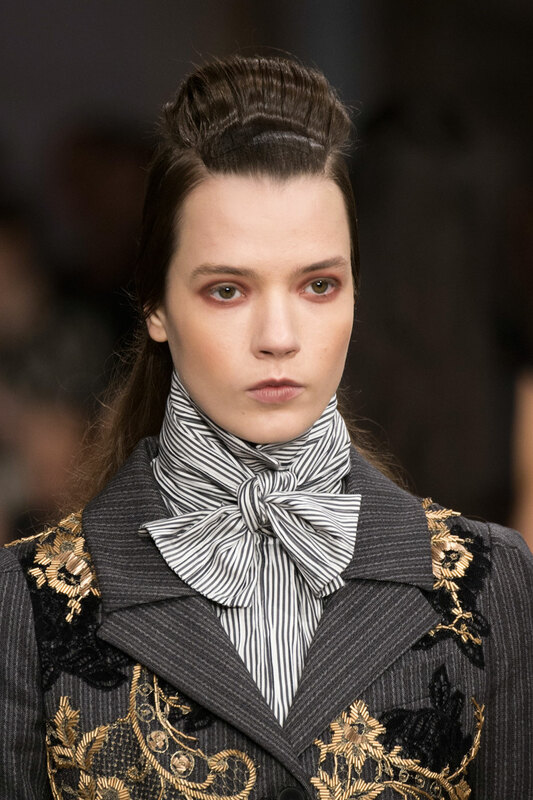 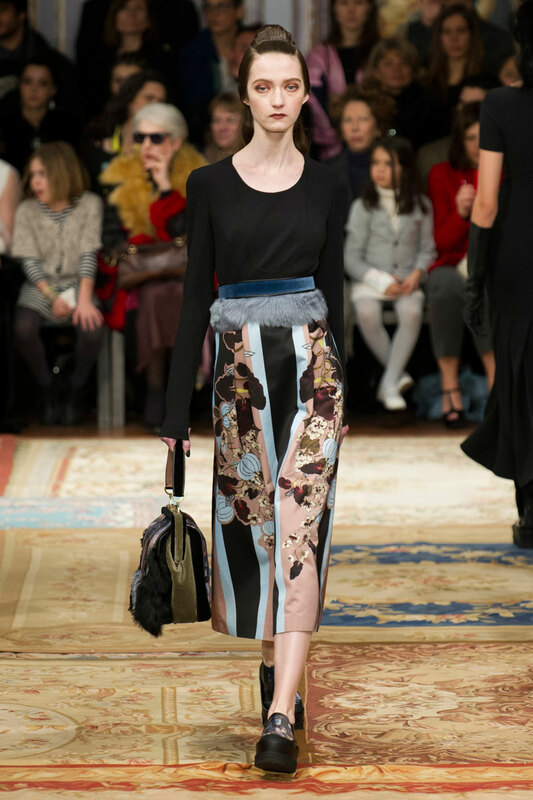 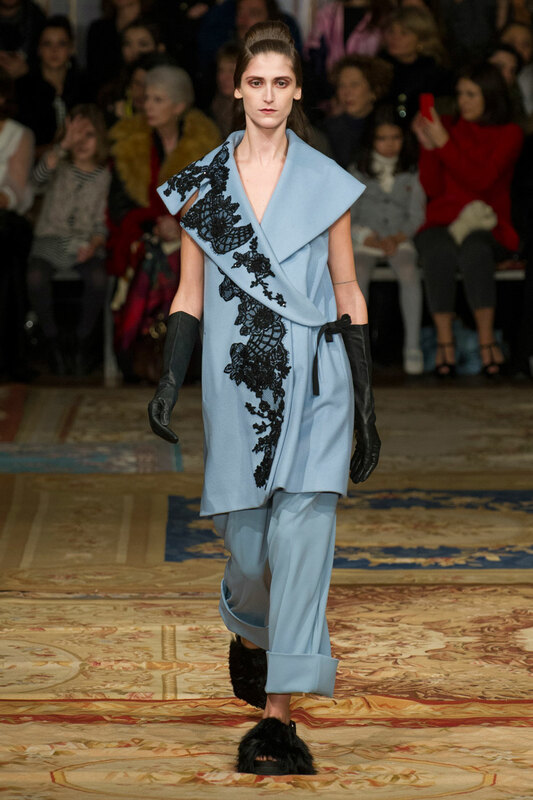 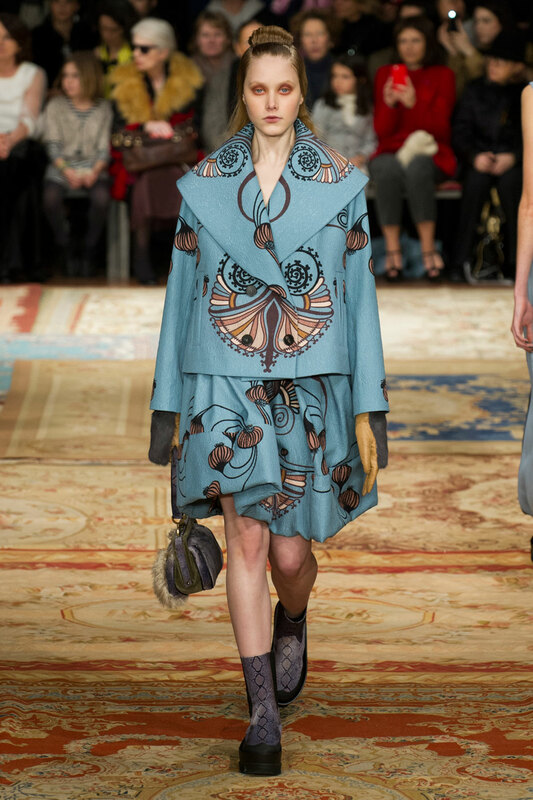 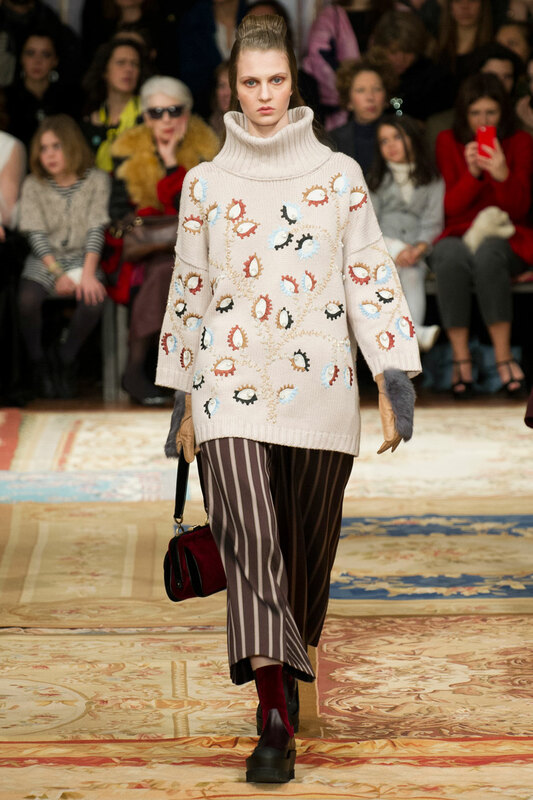 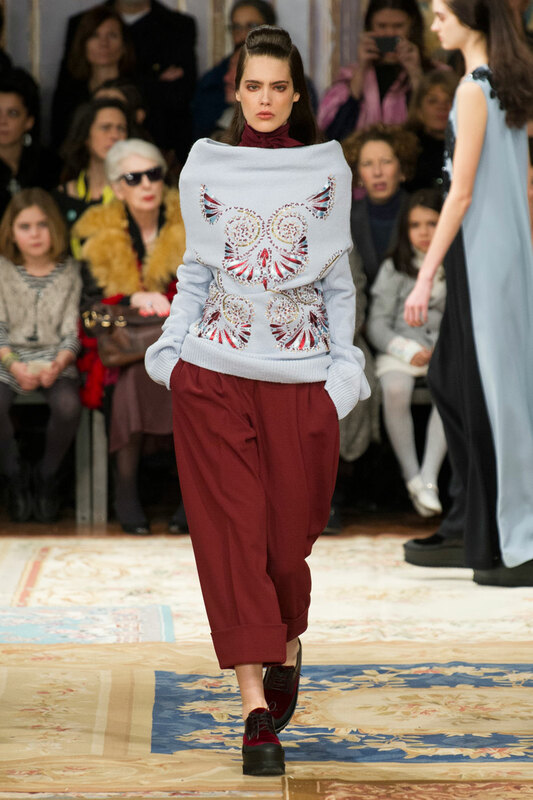 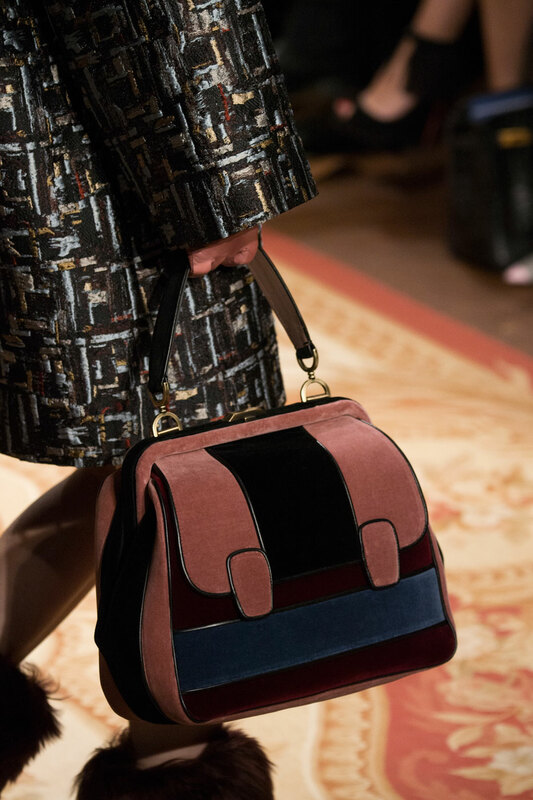 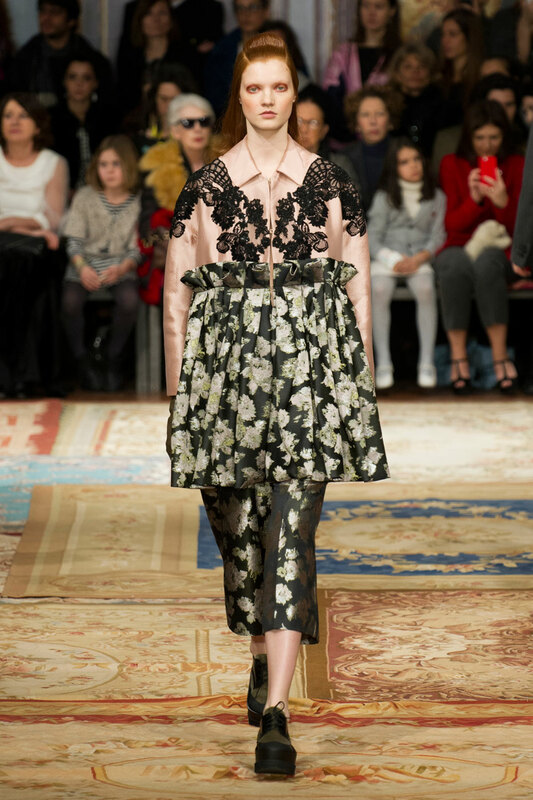 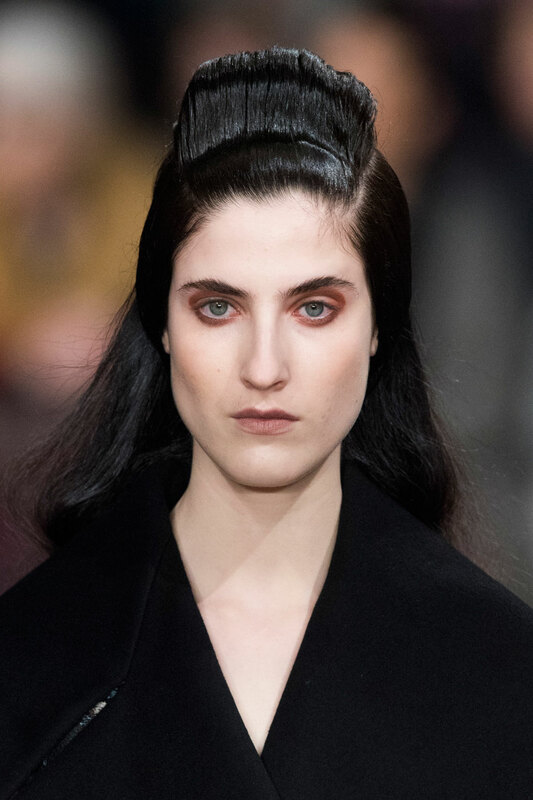 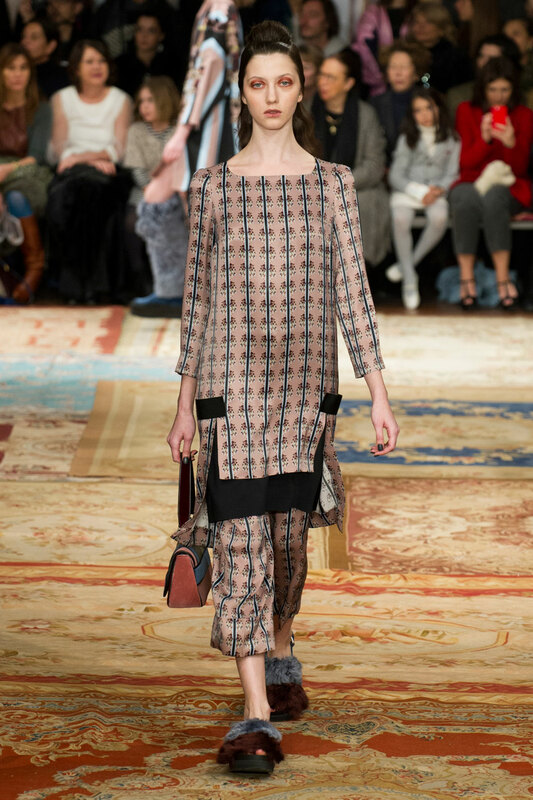 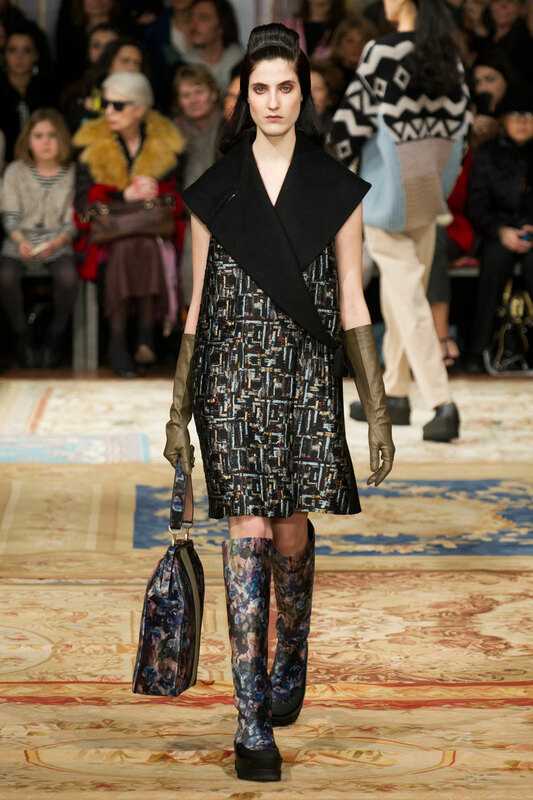 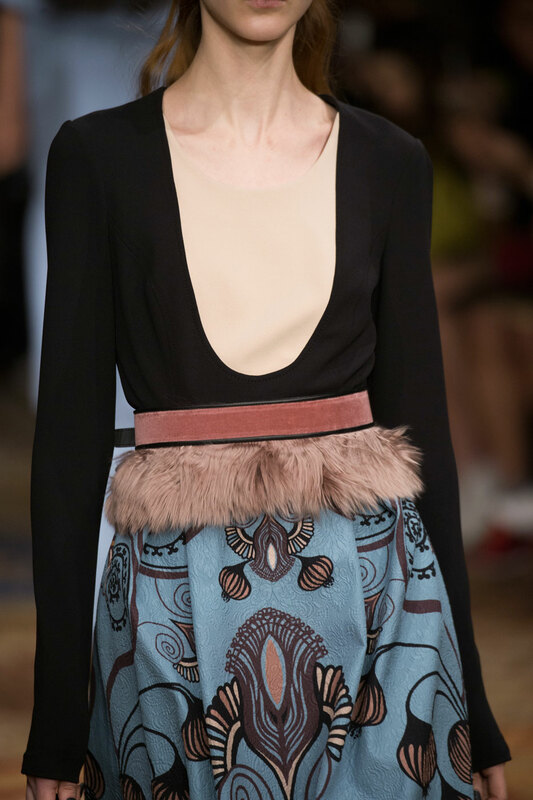 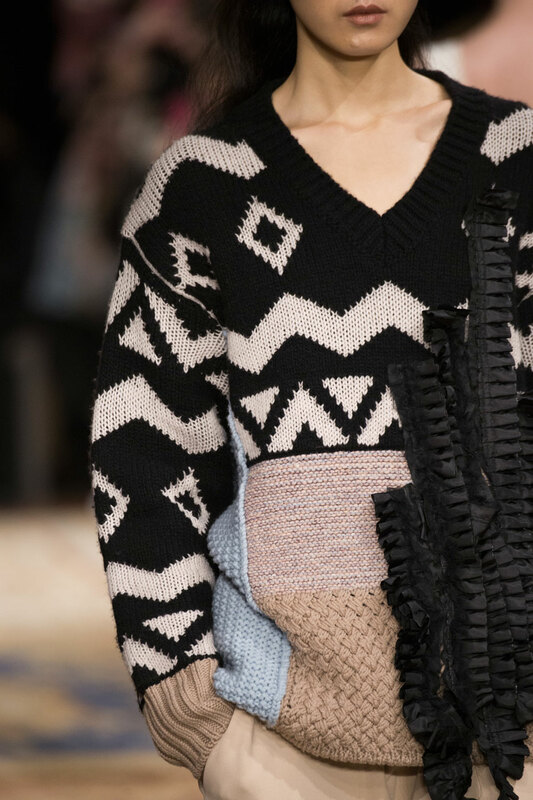 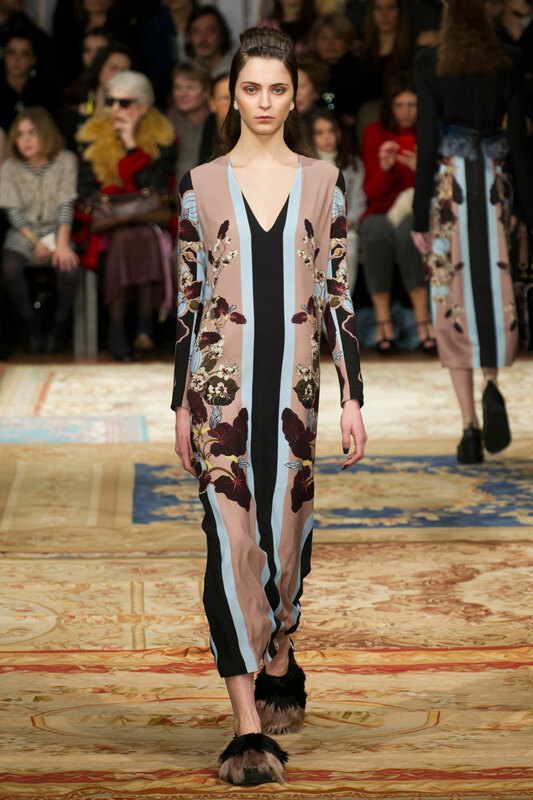 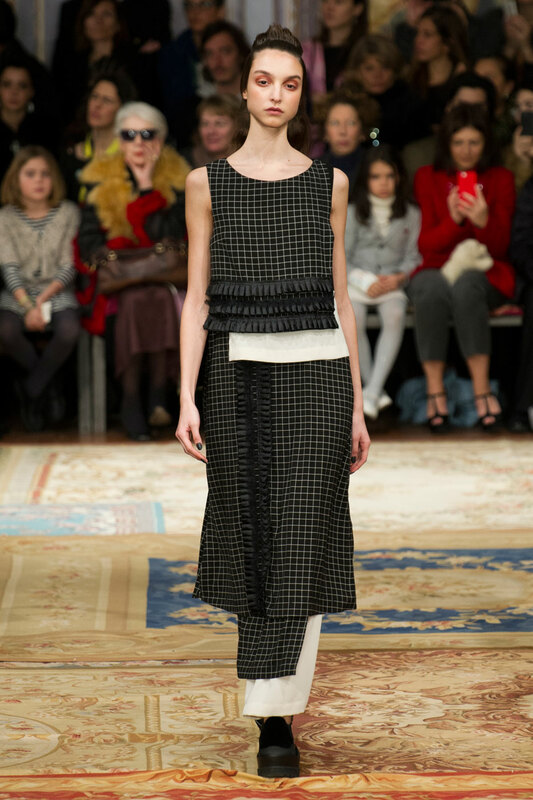 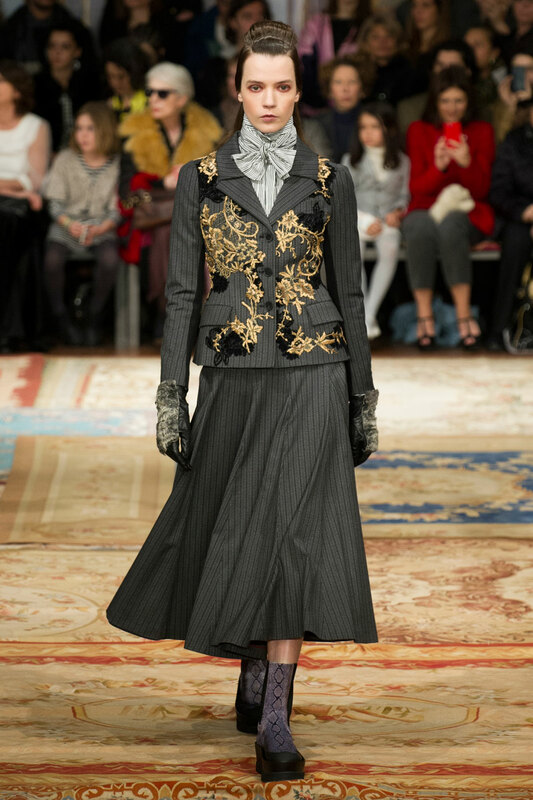 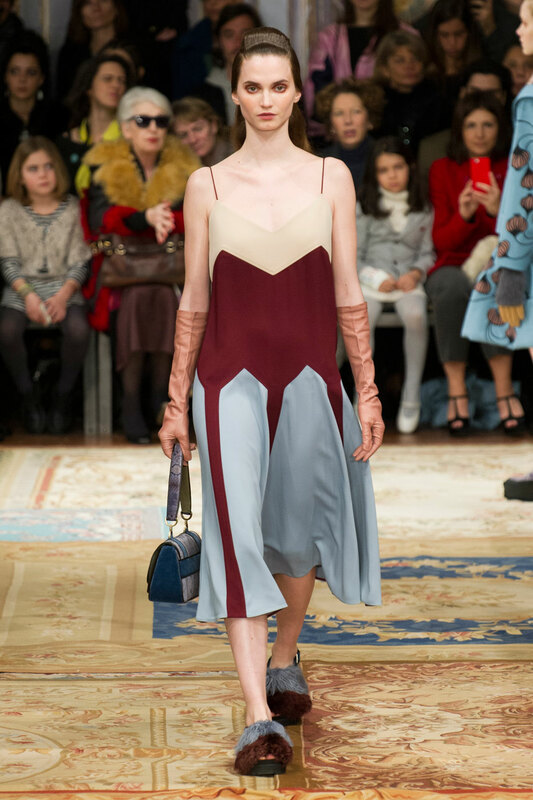 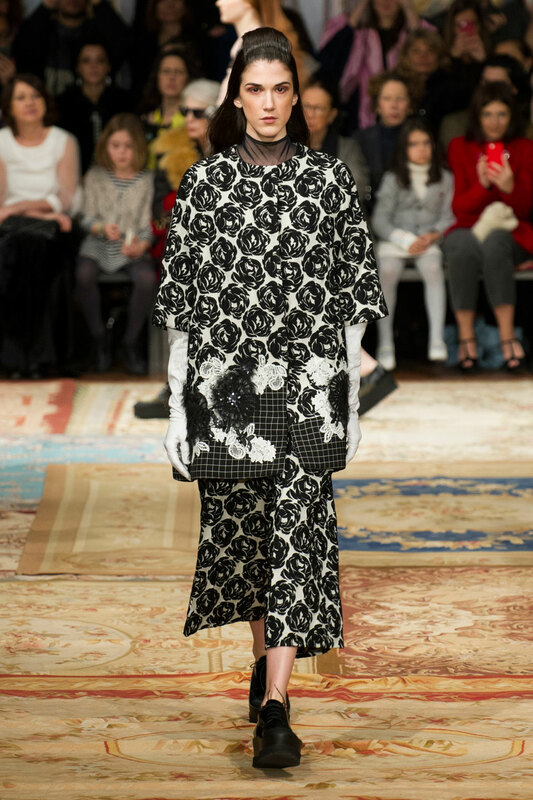 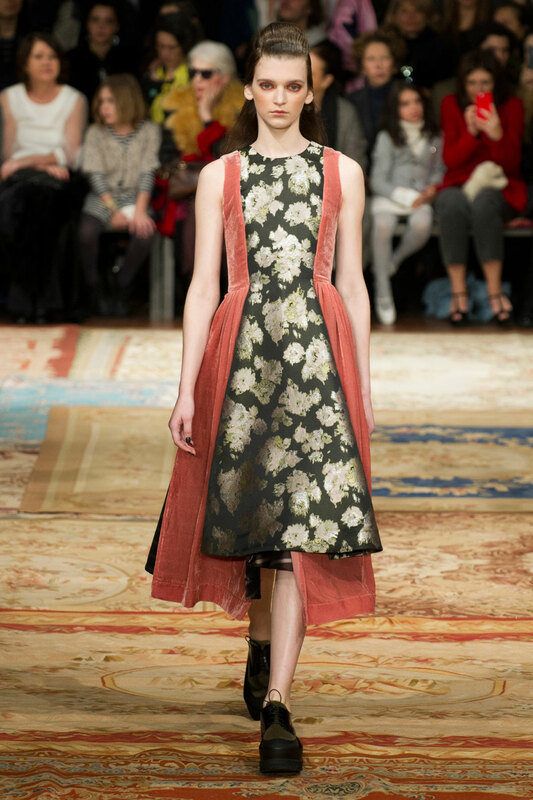 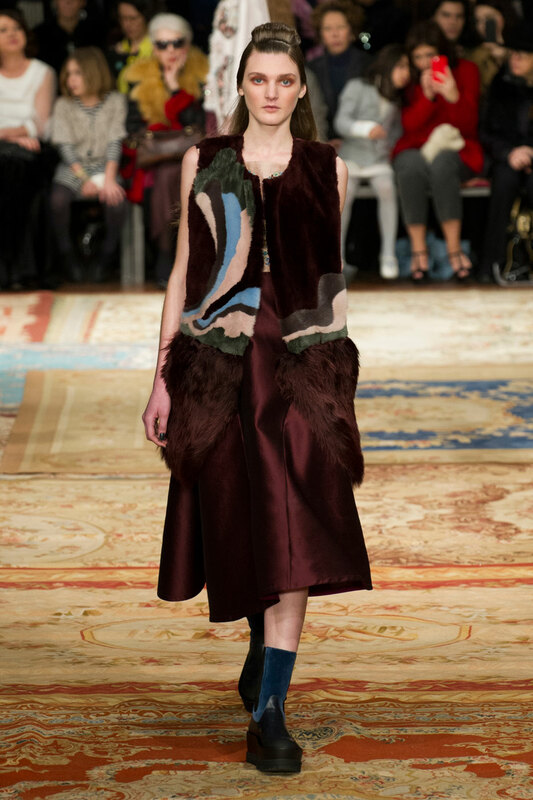 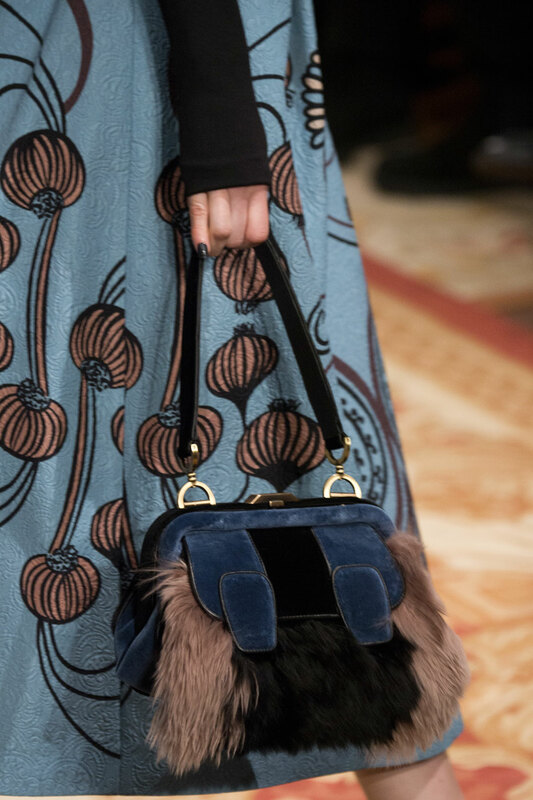 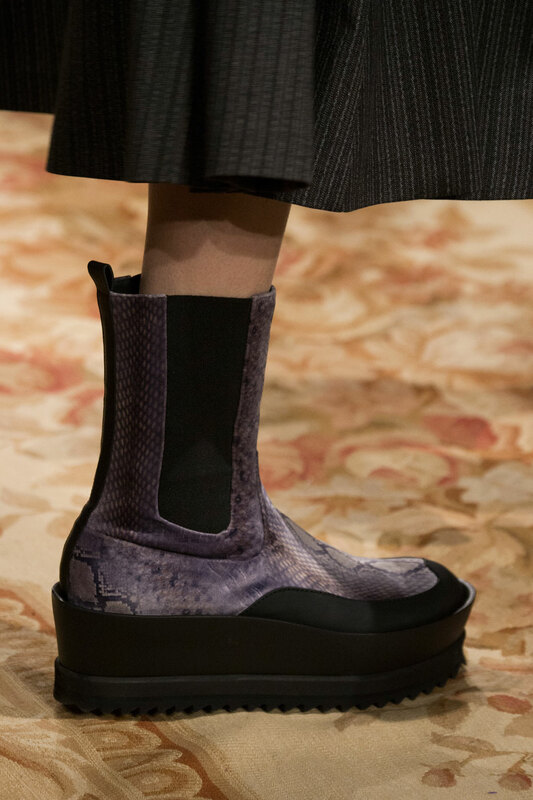 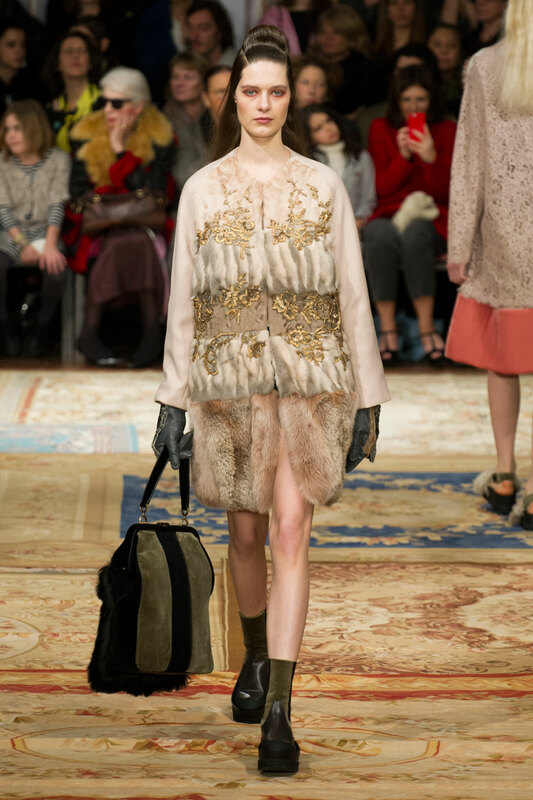 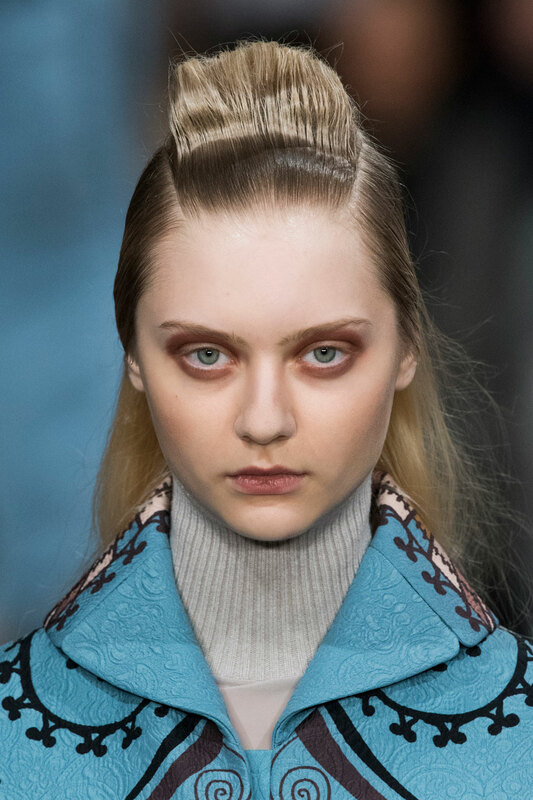 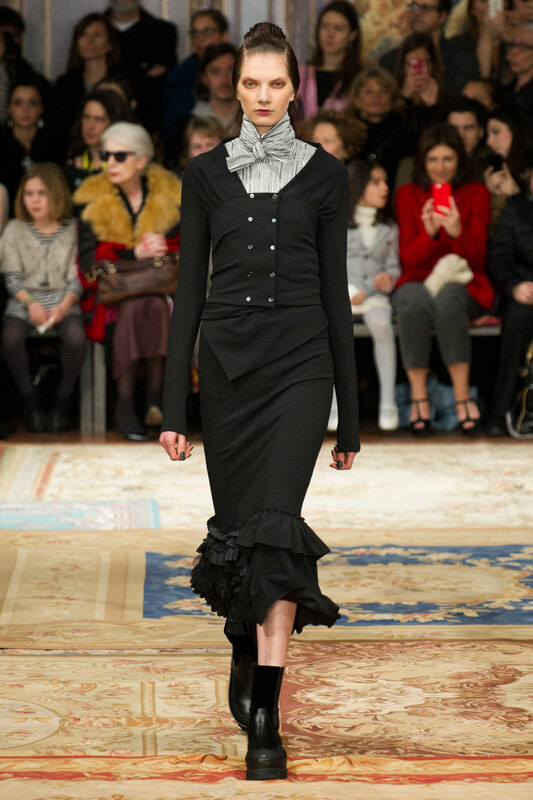 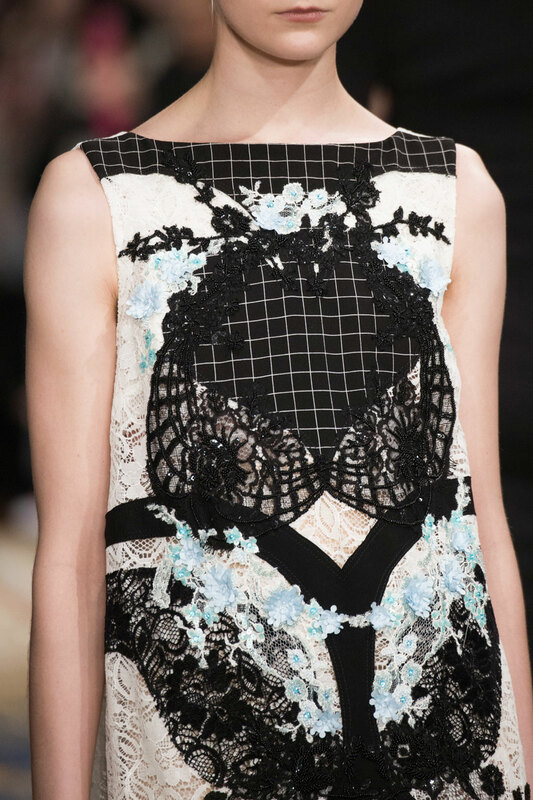 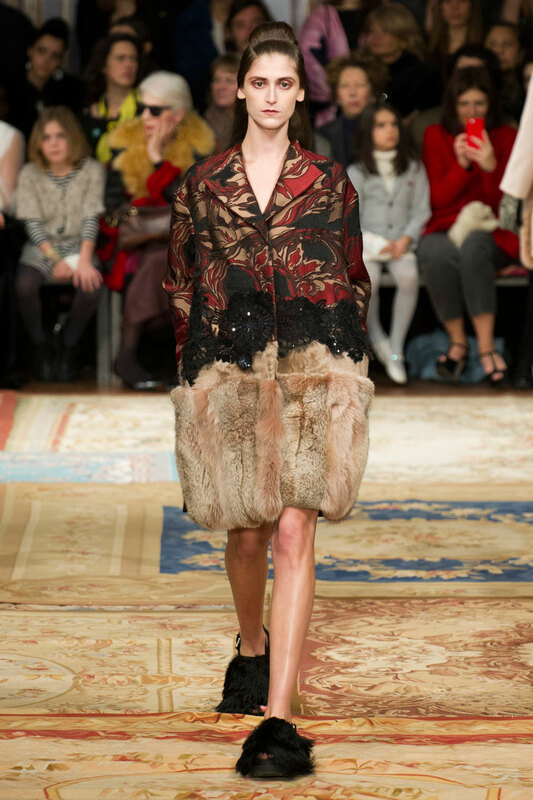 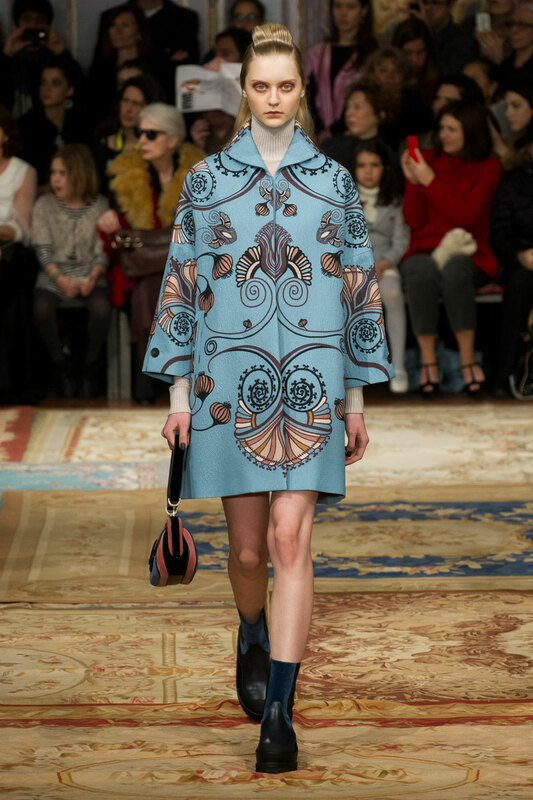 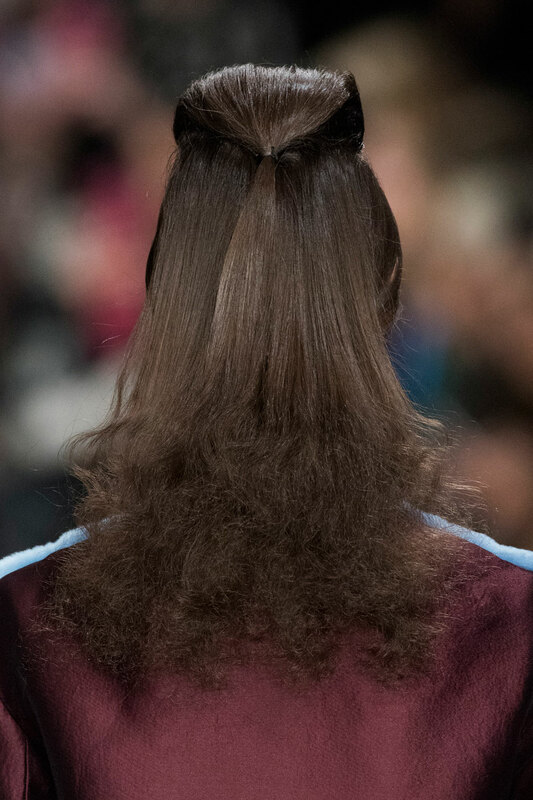 Antonio Marras Women Autumn-Winter 2015 – That gorgeous tone of blue we all want to get our hands on was all over the runway this season at Antonio Marras. 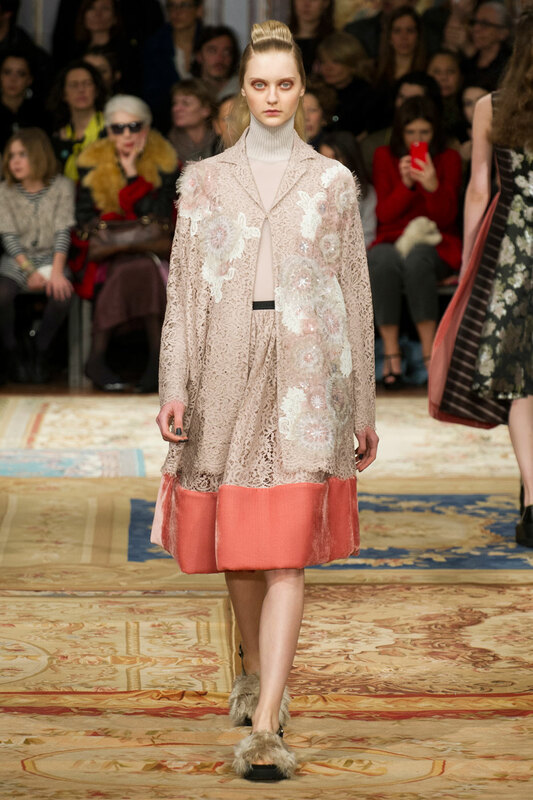 And when complimented with rich burgundy and pastel pink tones, the collection of elegantly chic looks were only enhanced in beauty. 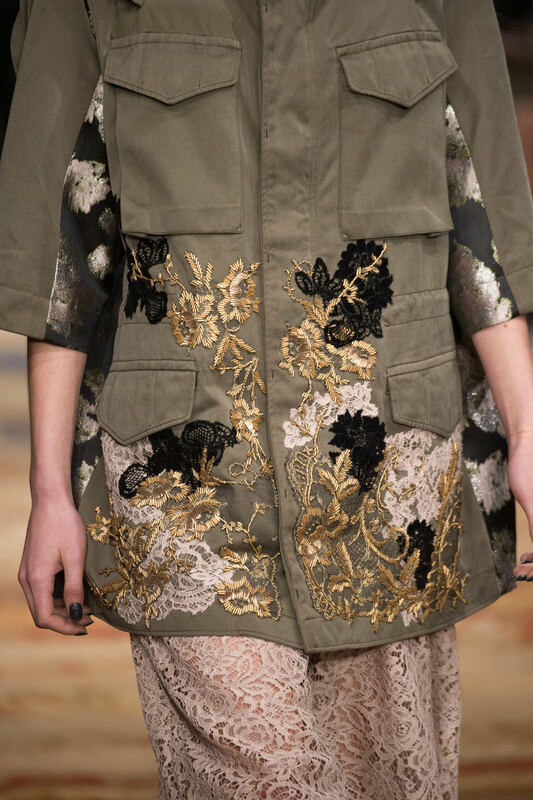 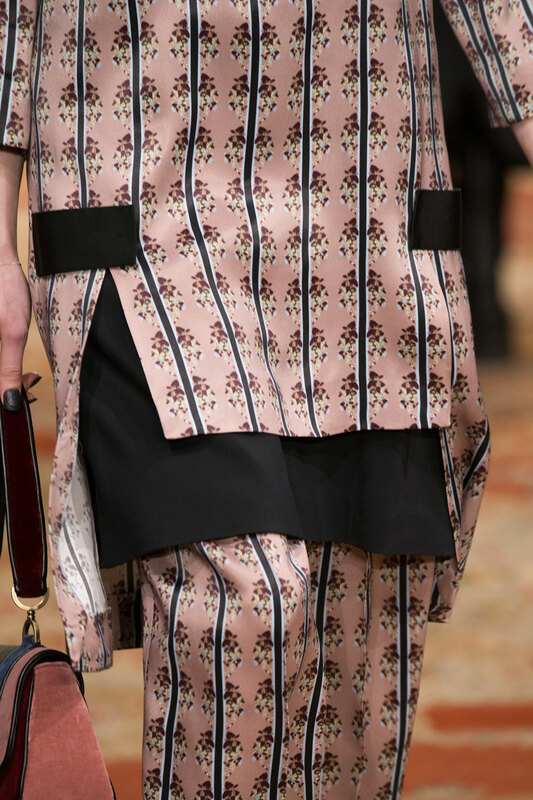 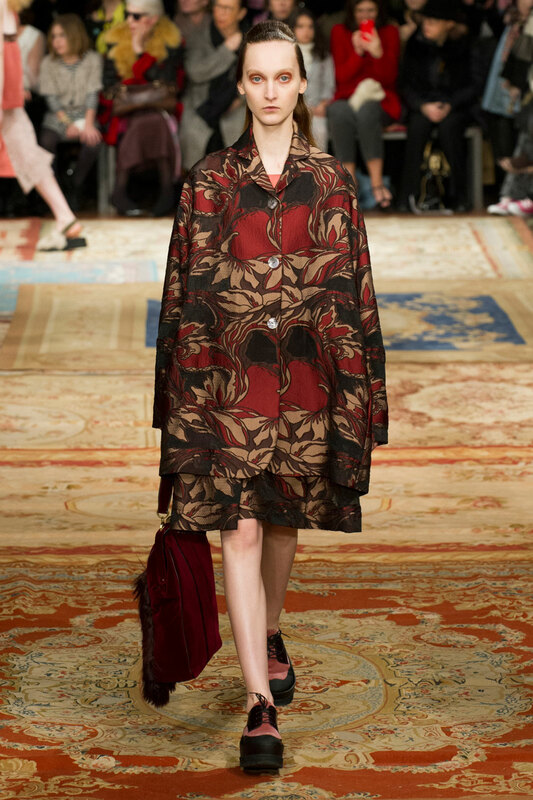 Florals were made bolder, intricately embroidered or abstractly mutated, alongside oversized ruffling on knits and suits. 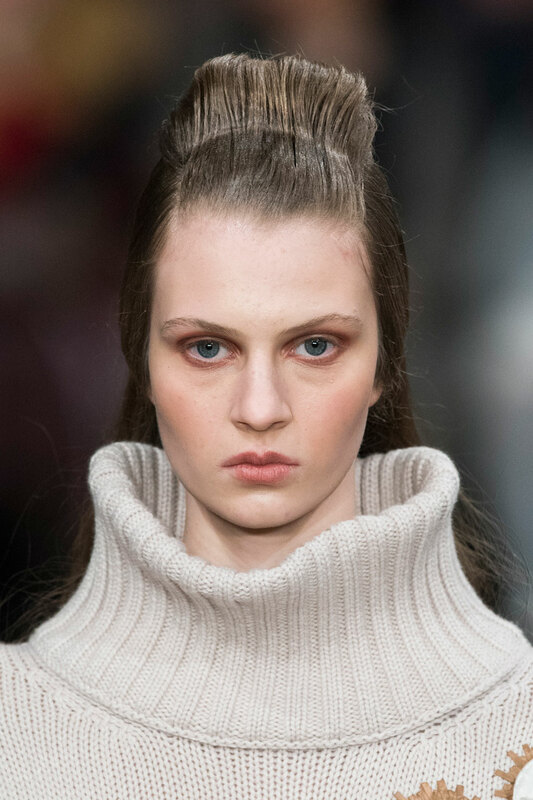 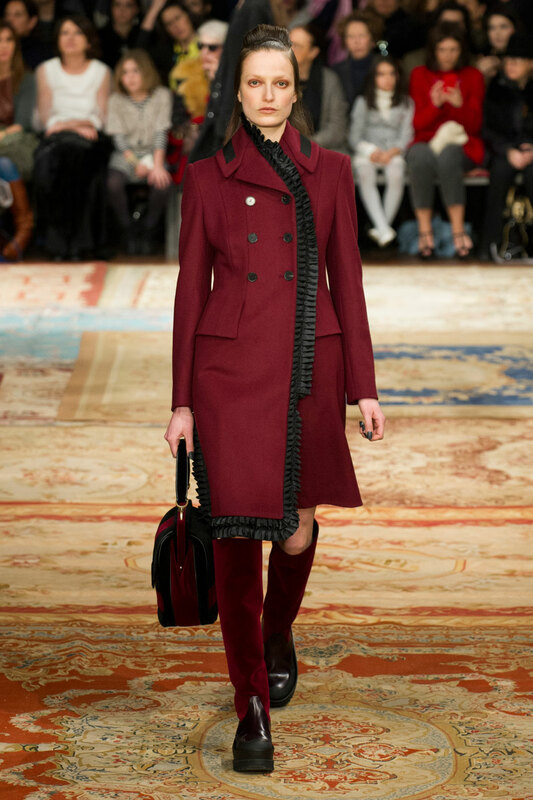 High tied necklines added a tailored feel to more elegant looks, the basic polo neck visible also. 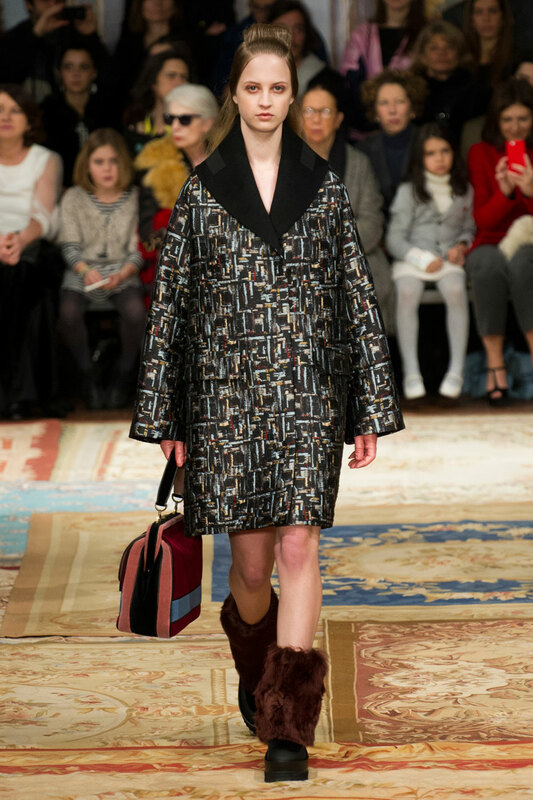 Another contemporary vision for the seventies perhaps. 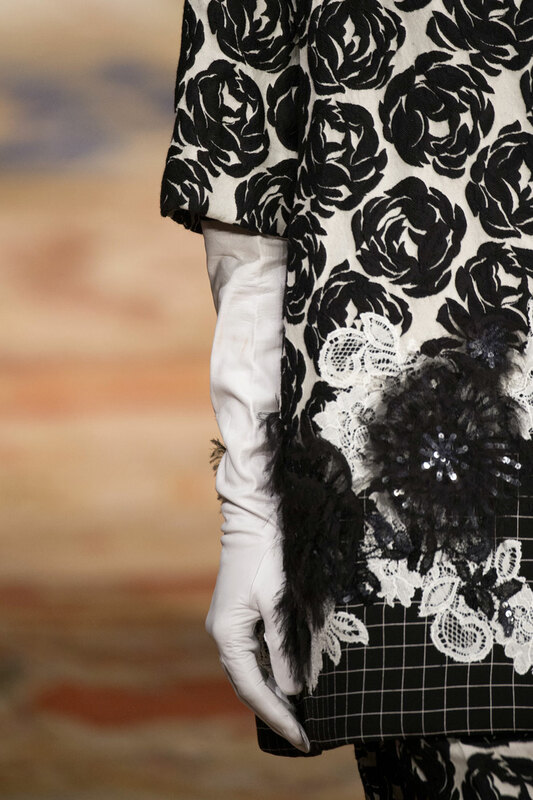 But it was the gorgeous shapes and detailed texture within the abstract botanics that were truly remarkable. 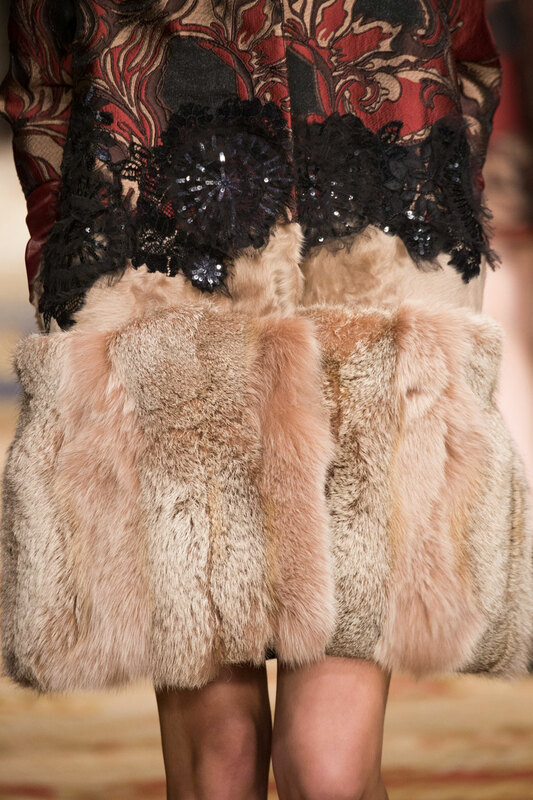 The attention drawn to the waistline was caused by none other than the lavish furs, fixed with striking waistbands. 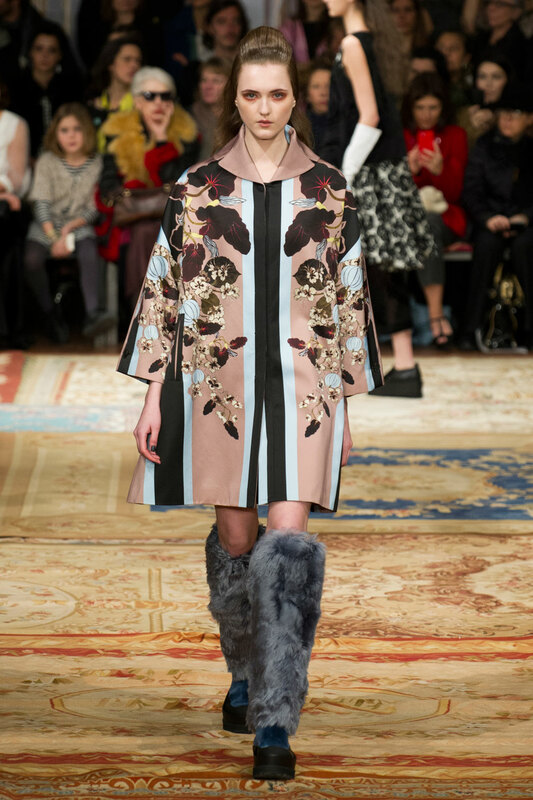 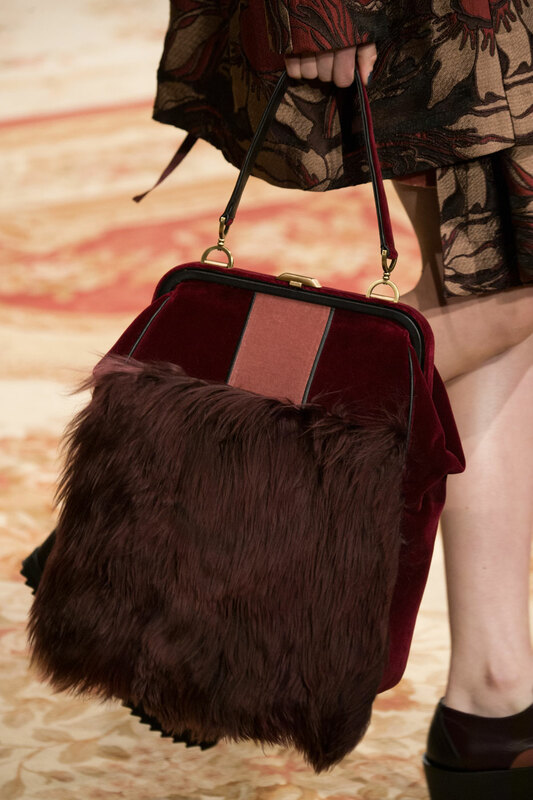 This was further complimented with furry accessories and animalistic bold footwear. 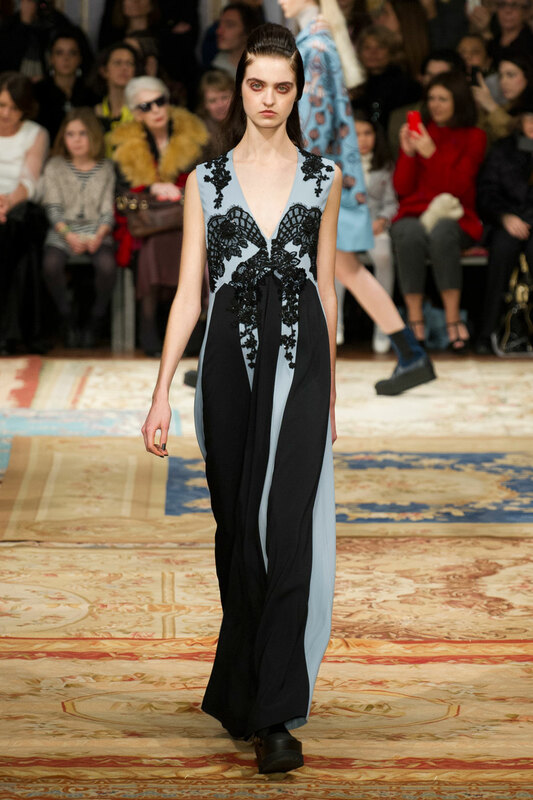 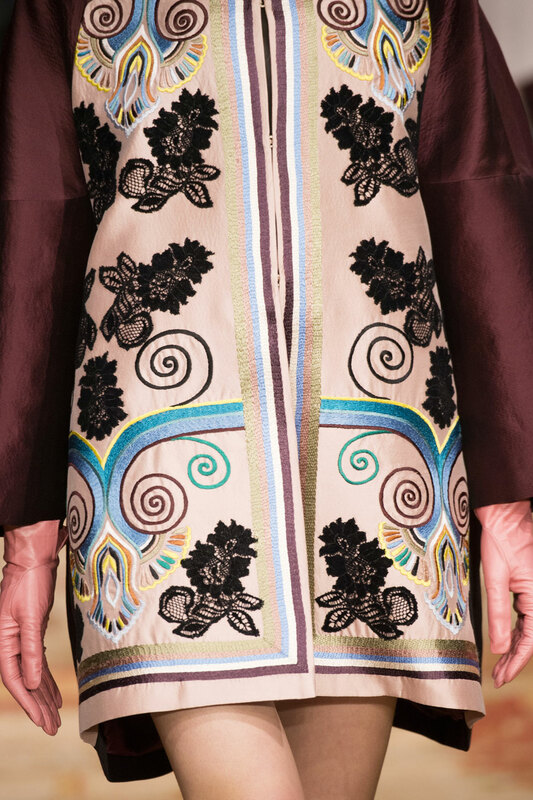 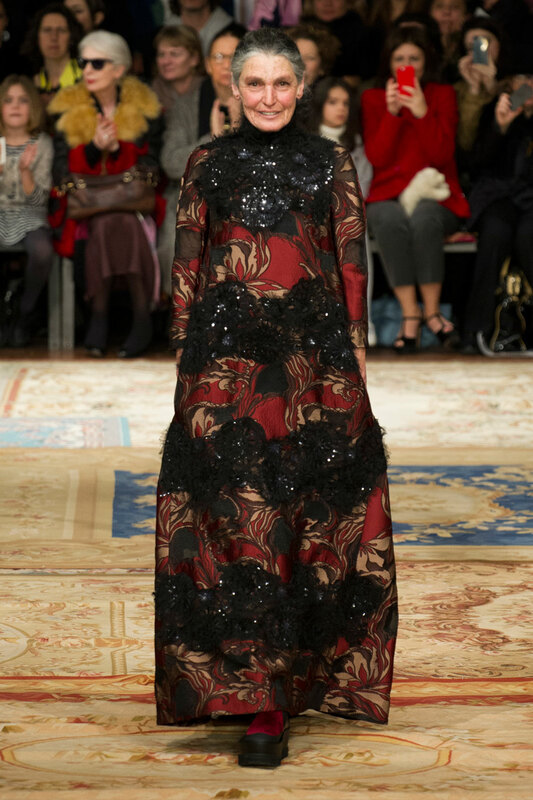 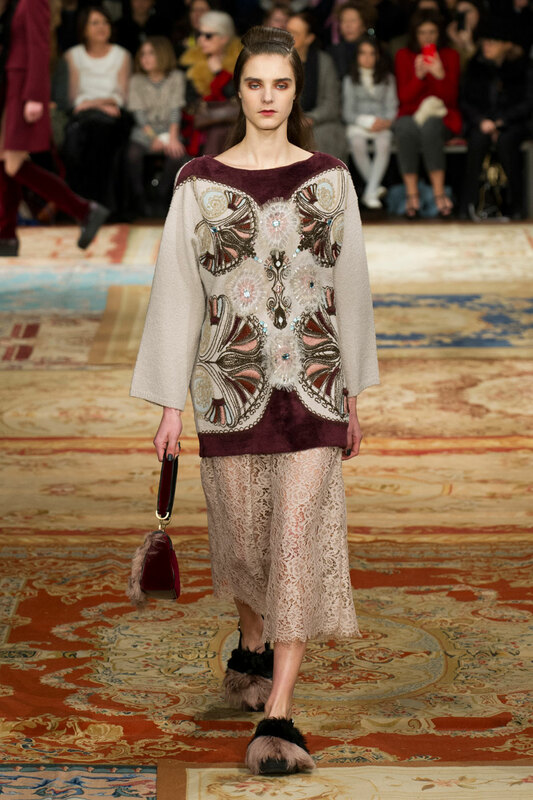 Silks, lace and knits were present also, covered in complex, sophisticated embroidery, highlighting the skill behind the design of each look. 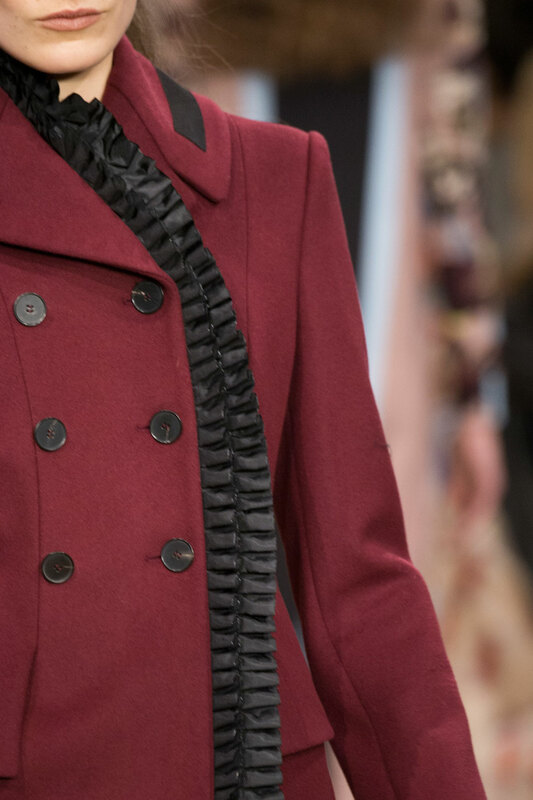 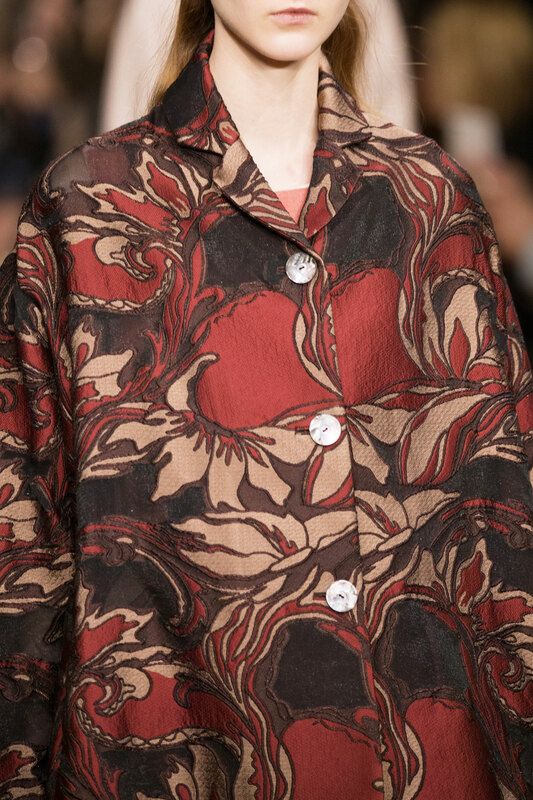 Marras brought us a range of statement pieces, consisting of much needed eccentric coats and utterly remarkable detailing. 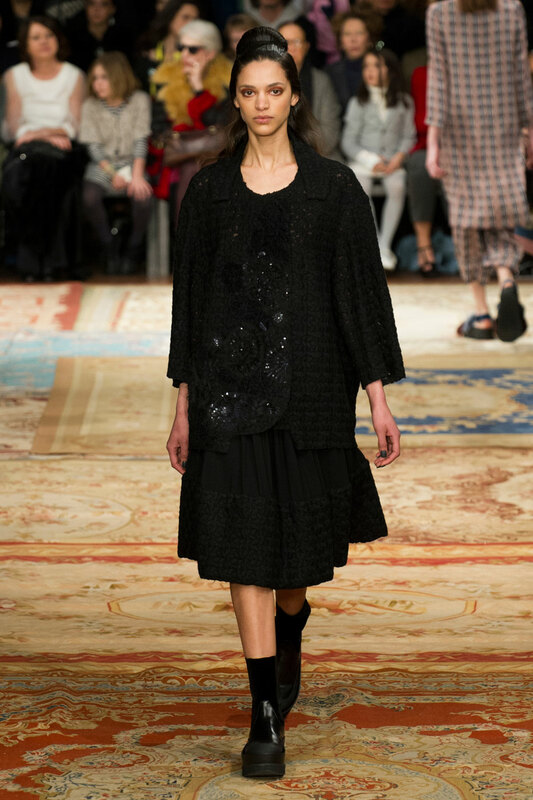 The collection, so rich in texture, made it difficult to find a focus, every aspect was truly complex with a visible contemporary edge.